We offer simple and completely secured payment option that make trading with us completely hassle-free. We have with us a well-maintained and capacious storage unit that is facilitated by advanced and automated warehousing system, which is operated and supervised by experts only. Detail : ASTM A105/ A694 F42/ 46/52/56/60/65/70/A350 LF3/A350 LF2, etc. Rajshree Overseas are Carbon Steel Forged Flanges Manufacturer and Exporter in India. 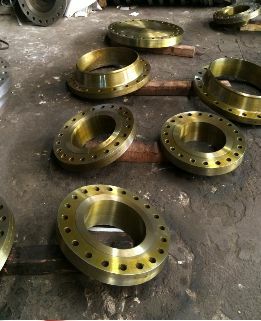 Our Qualitative range of Carbon Steel Forged Flanges is designed for several piping applications for various industries. These are designed and developed as per the client deamands and quality standard.